Recently, Google released Android O Developer Preview 2 with all new Android O Emojis. Emoji has become an important part of chatting. We often use emojis to express the situations. Nearly every single emoticon has been redesigned. Furthermore, Android O now supports the entire catalogue of emojis in the Emoji 5.0 Unicode standard. 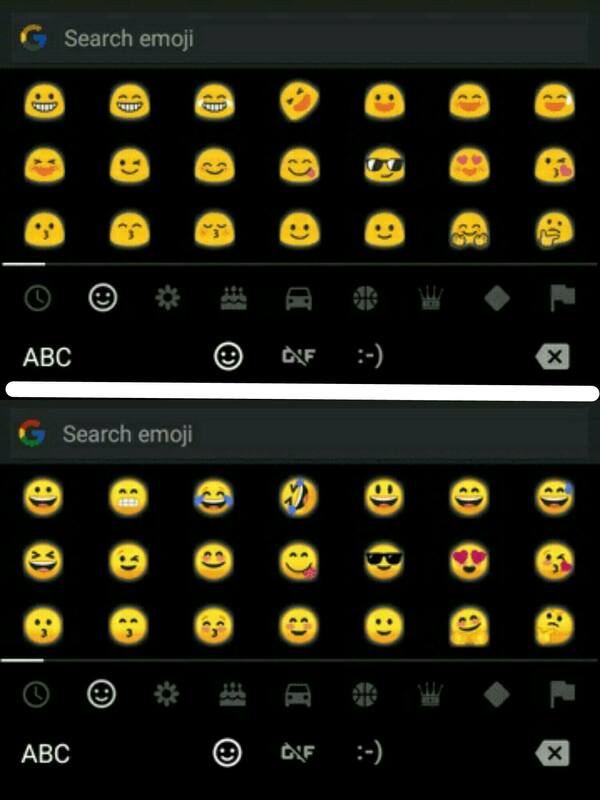 Android emojis looks dull when compared to that of WhatsApp and Facebook ones. Now with Android O, they got the much-needed reiteration. Back in Android Nougat release, Google has added some new emojis as well. Every one of us can’t experience Developer preview due to lack of any of the supported Google devices. But Android O Emojis has ported to a zip file, which can be flashed to any of the Android devices running Lollipop and above (5.0+). A developer code named Linuxct has done this port and posted on his XDA thread. Here, follow our guide to get Android O emojis on your Android device.We made it clear and easy. The guide has two methods; you can use any one of them. A rooted Android smartphone. If you are new to the word rooting, Get started here. Flashable-AndroidO-NotoColorEmojiReplacer (6.64 MB) zip file for TWRP flashing method. Magisk Module- Magisk-AndroidO-NotoColorEmojiReplacer (6.47 MB) zip file for the Magisk method. Patience and presence of mind. Backup the system using TWRP, as the flashing zip method will replace the system emojis. You can get back restoring the backup if you want. Download the zip file and transfer the file to your device storage. Now boot into the TWRP recovery of your device, using key combinations. Alternatively, you can use reboot menu, if you are on any of the custom ROMs or You can also use apps like Flashify to do that. Click on Install menu of TWRP and select the zip file you have downloaded earlier. Swipe right to flash the zip. Now Get back and reboot your device. Check now, which emojis are you seeing on the screen.?? They are the latest Android O emojis. In this process, the zip file replaces the original system emojis. So to get back, you have to flash the backup file, created at the start. 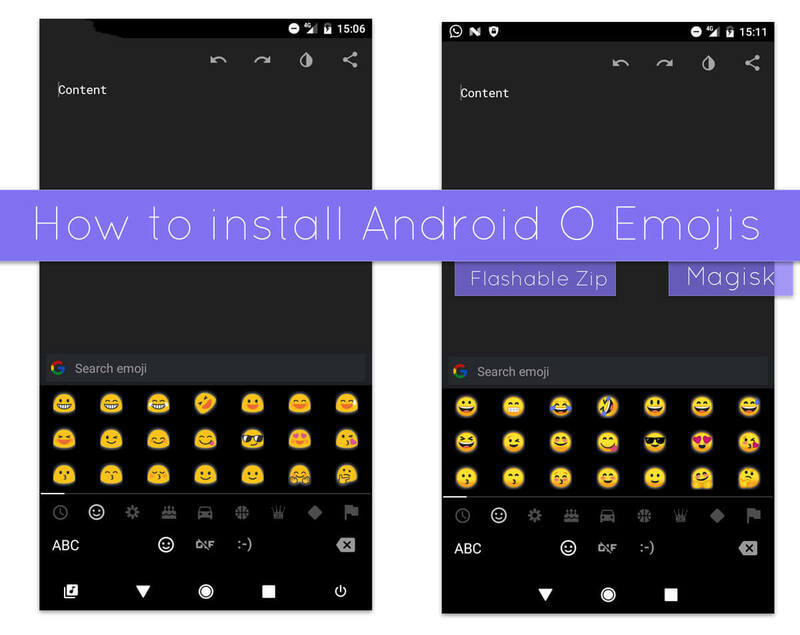 Method 2: Steps to get Android O emojis by Using Magisk Module. Magisk Module requires the Magisk manager. Install from the play store, if your device is already rooted. Magisk will work system Lessly, without modifying the system partition of your device. Hence the recommended of two methods! Download the Magisk Module zip file. Open the Magisk Manager app, go to the Modules section and press the + button. Choose the downloaded zip file and install it. Reboot your device as prompted by Magisk Manager. Now you can enable or disable the module depending on your interest in Magisk Manager. ALTERNATIVELY, You can use Custom Recovery to install the Magisk Module. This process is same as we used to flash the zip, expect to replace the zip files. Fast forwarding the process – Download the Module zip. Reboot your device into TWRP recovery mode. Choose Install, locate the downloaded Magisk module zip and flash it. Both the processes require Magisk manager on your device. Do you like the new Emojis? Follow us for more Guides. Share your experience by commenting below.